Timtam stepped out of her hut. It was still very early. The sun was just rising and there was a light mist hanging in the valley below. Suddenly there was a thunderous roar from behind her. A large ship had come up from behind them at nearly tree top level. It was painted black and purple with graffiti splashed all over it in dozens of languages. She stepped back quickly into her hut so as not to be seen. The people in the lower compound were yelling and banging pots and pans together as well as firing an occasional shot into the air. Timtam couldn’t tell if they were being attacked or if they were celebrating. Her servant was sitting in the corner silently waiting for her orders. Timtam stopped and looked at her. She had never had a servant before and didn’t know exactly what to do with one. “Stay.” Timtam said to the servant. The girl looked at her strangely. Timtam just smiled awkwardly back at her and ran out the door. As she ran she saw a large group of people gathering around the big hut. She tried to get close but there were too many people around the front by now. landed. They were yelling and cheering the arrival of the ship. A large Feliod female was in the lead. She must have been the ships Captain because she was dressed in fine clothing and jewels. Her hair was done in the style of the Pokta Clan. They were reputed to be one of the most successful of the pirate clans. Her crew came walking behind her tossing trinkets and food that was hard to get on this planet to the crowd. Then came the prisoners. The captured passengers and crew from the ships they had taken. They looked to be in bad shape. Some where made to drag a cart that had a cage on it. Timtam expected to see a wild animal inside of it but to her surprise it was a cat girl. Even more surprising was the fact she was a pink hair like herself. The girl had her head down and was sitting on the floor. She looked miserable. She had heavy chains on her that were fastened to the floor. Timtam ran to get a closer look. She hadn’t seen another pink hair since she was a child. In the facility were she was raised she had a friend there until she went to be trained as a companion. The girl was a pink head also as were about half of the stock where she was born. Wouldn’t it be nice to see her again. Timtam had made her way all the way to the cage. “Hey !” was all she could think to say. The girl looked over at Timtam and stared for a second. “ Are you here to rescue me ?” she said very sarcastically. The girl looked away and began to laugh. She had a very confident tone that Timtam took as odd because of her situation. Timtam stopped following the cart and stood disappointed in the road. She was hoping she would have a friend here with this girl like when she was a child. “Hey you, what did you tell her ?” one of the pirates that was following the prisoners asked. “Nothing, I just wanted to see if I knew her is all.” Timtam had that feeling like she had just did something wrong again but didn’t know what it was. “You’d better come with me.” he said and grabbed her by the arm. He drug her along with them until they reached the large hut. He left the other pirates in charge of the prisoners and took her up to the pirate Captain. “Captain, I saw this slave talking to Enna as we were coming up the hill.” he said as he shoved Timtam at the Captain causing her to fall on the ground. The Pirate Captain took a step forward stepping on Timtam’s hand. She winced in pain but knew better than try to protest. “Why are you trying to help Enna?” the woman asked through clenched teeth. “I wasn’t trying to help Enna, I just thought that she was maybe someone I might know.” Timtam said holding her hand and looking up. “Then how did you know her name ?” the woman asked pressing harder. “Zellina, what goes on wid di girl ?” Vultahn said pushing his way through the crowd. “She was trying to help my first mate to escape.” Zellina answered not turning away from Timtam. “She had bin helpin us, you maka mistake eh?” Vultahn suggested. “I don’t maka mistake Vultahn, she was trying to help Enna.” she insisted. Vultahn hesitated for a moment. He knew Zellina was a very important ally of Brumbarus but he also knew she was cruel and quick to judgment in such matters. He had to make a choice. “Sorry Pinkhed but you are not lucky today like last night.” he grabbed her up and took her behind the big hut. They came to a steel grate on the ground with a guard standing next to it. “Open.” was all he said. Timtam looked in disbelief but not for long. Before she knew it Vultahn had thrown here into the pit below. She hit a wooden ladder and slid down bouncing on each rung. When she hit the floor she made a splash. There was about two feet of water in the bottom of this hole that was used as some kind of holding cell. Timtam stood up and grabbed hold of the ladder. She looked up at the only light source. 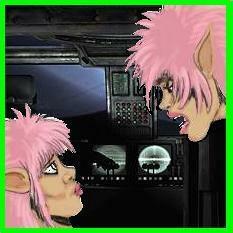 “Vultahn, I didn’t do what she said I did I swear it !” she yelled up in hopes he was still there. There was silence from above. 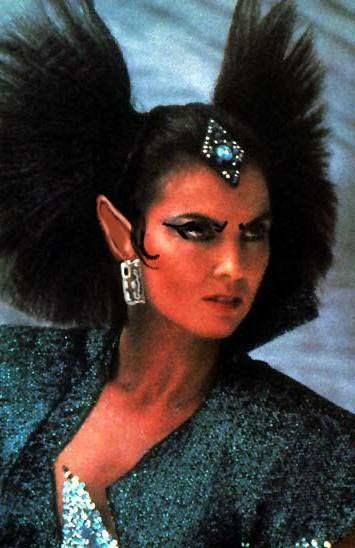 Then she saw Vultahn looking down. “Please help me Vultahn, I’ll do anything you want but don’t leave in here.” Timtam pleaded. “You be okay till tonight I bet. We get you then.” Vultahn said and walked away. Timtam heard a faint hissing sound from in the pit. She climbed up the ladder and hung on to it as far up as she could go. Timtam’s legs were sore from being crouched up on the ladder all day. It was night now and the guard had changed three times during the day. Timtam pulled herself up the ladder and crawled on her knees onto the grass. “Com Pinkhed, we must go now.” he said lifting her to her feet. He put a steel collar on her neck and lead her further around the back of the large hut. There were several people milling about taking care of things for the meeting being held inside. Vultahn fastened her collar to a big animal cage just out side the main entrance. “Be good and you be let go.” Vultahn said patting her cheek lightly. He turned and went inside. Timtam tried to turn her head to the right and then to the left. The collar was too tightly fastened to the cage. She had only been standing there a minute when she felt claws gently being dragged down the back of her legs. What ever was in the cage had found her standing there helpless. Something grabbed her tail and pulled it back against the bars of the cage and then it grabbed her collar. Timtam dare not move or even breath. “Hello my little friend.” a voice whispered in her ear. It wasn’t an animal in the cage. It must be the cat girl she saw earlier on the cart. She was messing around with Timtam’s collar from inside the cage. “Now I want you to be very quiet little friend. If you do what I tell you to do I might take you with me. If you call out I’ll kill you for certain.” she laughed a little into Timtam’s ear. She heard the collar release and felt it fall loose. “Now I want you to get in this cage, don’t worry the door is already unlocked.” said Enna. Timtam carefully moved around to the door being careful not to make any sudden movements that might alert the guard. Enna yanked her in and pushed her up against the back of the cage in the dark. Even in the darkness she could see how much they looked alike. They could be sisters the resemblance was so great. “Take off your clothes.” she said. Vultahn had stepped outside and motioned to the guard to bring in Timtam. He went over to the cage and unhooked Timtam’s collar and lead her in. she was taken to the center of the room. She quietly shuffled in and stood motionless with her head down. She could see the room was lit by torches and open braziers. “This is the girl from last night Brumbarus, Zellina has accused her of trying to help Enna of escaping.” The pirate in charge of prisoners said. The room was quiet and dark. Timtam waited for them to decide what they would do with her. Zellina stopped sipping her drink and leaned closer. She looked at Timtam closely. “Kill her !” It’s Enna !” she yelled as she drew her pistol. Timtam heard a loud explosion from inside the hut. Three Feloids came running out on fire screaming. Gun fire had erupted from inside so intensely she thought a war had started. She dropped down low in the cage. She watched as people kept running out of the hut. Zellina and a few others came out. She had been wounded and was being carried off to safety. The hut began to burn in a raging inferno. The heat was getting to be too much so Timtam was about to make a run for safety when Enna slammed the door shut on her. “What are you doing?” Timtam asked . “I can.” Timtam said happily. “You can what?” Enna had begun to leave but stopped. “I was slave to Lionette Ty of the Ty clan. I was trained to fly her ship.” she had pressed herself up against the cage bars due to the burning hut behind her. Enna got down on all fours and started running. Timtam did the same doing her best to keep up with Enna. They ran to the ship’s landing zone and stopped at the edge of the field in the undergrowth. A Feloid came out of the ship carrying a body and tossed it on the ground. He then flashed a light into the jungle were Enna and Timtam were hiding. “We’re going.” Enna said and she ran to the ship. Timtam ran as best she could trying to keep up with Enna. She was the fastest Feloid Timtam had ever seen. They stopped at the entrance ramp next to the Feloid that had come out with the body. He was older about in his early forties. He carried two pistols on his belt and he had a big knife in his hand. “It’s done Enna. That was the last of the crew that was still loyal to Zellina.” he said pointing at the body laying on the ground with the knife. “Good work Kippuh.” Enna put her hand on his shoulder. “Well little friend, do you think you can fly this ship ?” Enna asked Timtam. It was a very common feloid long range scout. It had been refitted as a raider to mount more guns and carry more cargo. “I think so, I’ve only flown fighters and one or two shuttles up till now.” Timtam looked up at the ship trying to see if anything looked familiar. Enna looked at Kippuh and in a flash turned his knife around and slashed his throat with it. He dropped to his knees and died next to the Feloid he had just killed. Before Timtam could react to the cold blooded murder she had just witnessed they heard the yelling of a mob coming their way. “Well you better hope you can fly this thing because Kippuh was the pilot.” Enna said and dragged Timtam up the ramp and closed it. Enna pushed and pulled Timtam through the ships halls until they reached the cockpit. She shoved Timtam into the pilot seat roughly. “Make it go.” she said as she put the knife under Timtam’s throat. Timtam looked at the controls. Everything was different. Nothing looked the same as the other ships she had flown. This ship had four times as many controls as any of them. “Well little friend? Are you my pilot or aren’t you ?” she pressed the knife harder against her neck. Timtam began to cry. She couldn’t fly this ship and Enna would realize it any second. “Do something ! Enna yelled in Timtam’s ear. amazement they did. She began to understand now. This was a bigger ship with more engines. It had more everything on it. More stuff, more buttons and controls. “I got it, I understand it now !” Timtam exclaimed excitedly. She set the take off controls to automatic and increased the thrusters to help the ship’ guidance system move through the thick jungle canopy. “I never doubted you for an instance little friend.” Enna said as she kissed Timtam on the top of her head. They could hear the pings of small arms fire hitting the hull as they ascended into the sky above. Timtam reversed the incoming flight pattern so the ship would retrace it’s path from when it arrived this last morning. Enna sat back in the co-pilots seat next to Timtam and began to laugh. She playfully punched Timtam in the arm. “Who would have thought this morning we would be alive right now, huh ?” I planned this whole thing once Zellina figured out I was going to take over her ship but I never planned on you being their little friend. Hey, what’s your name anyway ?” Enna asked. “Timtam, my mistress called me Timtam. Timtam stuck out her lower lip pouting. She liked her name. It was all she had left from Lionette. Lionette stood pacing in the old factory. She was careful not to step on the debris on the floor. They were waiting for the Colonel. He had been delayed it seemed. These past few weeks had taken it’s toll on her and she had become very tired of the whole thing. “Where could he be ?” she said to herself looking out of the broken windows and out over the abandoned complex. They thought it would be safest to wait on the upper most floor of the building so they could have the best view possible of the surrounding area. “There My Lady.” one of her guardsman pointed. A heavy assault transport was flying directly at them at full speed. It was the Colonel’s ship. It was painted bright red with the Ty Clan black and white markings on it. Lionette and her troops quickly mounted the stairs arriving on the at the roof just as the assault ship was landing. The side door opened and the Colonel jumped out. He landed heavy on his combat boots and hesitated. His age was catching up to him. He stood erect and with the ships thrusters blowing his thick mane around walked over to Lionette. He was carrying a box about three feet in length on his shoulder and placed it on the ground before her. He slowly knelt down and pulled out his service knife. “Open it Colonel.” Lionette said simply. He stuck the knife under the lid and with a quick prying motion popped open the lid to reveal it’s contents. Lionette looked down to see four heads all in a nice row in the box. They had been cleaned and placed carefully in the box just for this moment. “Only one left My Lady.” The Colonel was discreetly and unofficially giving Lionette a chance to change her mind about his last target. “You’ve done well Colonel, you and your men should some time to enjoy yourselves while you are here.” Lionette said. “The last target is under the protection of a Hutt.” the Colonel warned. “It should look like an accident. I want it done but without causing more problems you understand?” she didn’t want the Hutts involved. “It may have to be done in a way less dramatic then the others.” the Colonel said. “I just don’t want her to suffer, everything else aside she is still my sister.” Lionette said as she turned away. “May I ask a question My Lady?” the Colonel said. Pep had come into the room with Matt’s dinner. He still had both arms in casts and needed help eating. Pep had just come in from preparing Matt’s food and she was crying. “Timtam is dead.” she placed the tray on the table next to Matt’s chair. “What ! How did it happen ?” Matt was shocked at the suddenness of the news. “She did it, Lionette had her sent to Geirgor to die.” Pep wept. “What the hell for ?” Matt was angry, Timtam was not capable of doing anything that to earn that fate. “We’ll talk to Kang, he’ll know what to do. He can talk Lionette into bringing her back.” Matt stood up to go get Kang. “Don’t you understand? She’s already dead. I’ve been places like that and she wouldn’t last an hour before they gang raped her until she died. Poor Timtam, it’s horrible.” Pep said turning away. “This just doesn’t sound right, I can’t imagine Lionette doing that to Timtam.” Matt shook his head in disbelief. “You outsiders will never understand what the Free borns are capable of. They speak and act so refined but underneath it all they will do anything they want to our kind. They are warriors and raiders but they build beautiful palaces and share their wealth with their guests but they do it at a price. They do it all on our backs.” Pep caught herself. Even though she was free she still feared reprisals for speaking against Feloid culture. “Okay Pep, you’re probably right, but Kang can find out if there is something we can do. We need to talk to him about this before we try something else.” Matt was letting Pep know they might try to rescue her on their own. “Alright Matt, you’re right, we’ll talk to Kang. You sit down and I’ll go get him for you.”Pep said as she calmed down. “Don’t do anything else, you hear me Pep.” Matt said sternly. “I promise Matt, I’ll do as you tell me.” Pep ran down the hallway to find Kang. Cheena sat in the dark holding message that had been delivered to her. The messenger had been dispatched from a friend of hers that had been in on the plot to take over several of the Clan leadership positions. The letter read as follows. They know everything. All is lost. Save yourself, it is already to late for me. She had not heard anything back from Josi Nabb either. Cheena could only assume the worst. She would not be going home any time soon to say the least. Lionette would be sending some one for her. She had to, it was a matter of honor now. Cheena poured a drink for herself. “I don’t know mistress, what would you want me to do?” the girl replied. “That would be a good place to go.” she smiled. “Hand me my writing pad. I am going to write a letter for you. I’ll be leaving here soon and I want you to go home. I will arrange transport for you and enough money for you to live on for the rest of your life. Give this letter to my sister, I’m sure she will honor it as best as she can.” Cheena said. She wrote the note and gave it to Katia. “Make sure you don’t loose it or I will be cross with you.” she smiled at the girl. Cheena had Rollo recommend an honest pilot to take her ship and Katia back to Lionette’s palace. She told him the girl was sick and needed to be sent home for treatment. It seemed reasonable so Rollo did as she asked. The next day Cheena took Katia too the hangar and spoke with the pilot. He seemed trustworthy enough so she bid them farewell and watched them leave. Cheena had gone back to her quarters and took one last drink. She wrote several letters to friends and other people she had dealings with. She also wrote one to Lionette explaining why she did what she had. There was no remorse for her actions only several references to the ancient manuscripts that told of the true Feloid origins. She wrote down where Lionette could find them. She had hidden them in her room in the palace. Cheena placed the letters in a shipping container with orders to send the container to Lionette if anything happened to her. She sat in her room the rest of the day in the big chair deep in thought. That evening she took a bath and ate her dinner. Afterwords she put on her nicest clothes and went for a walk. She walked to one of the lower class areas and found herself standing at the top of a long stairway. There was a Feloid standing at the bottom of the stairs. He looked up at her and then turned to see if anyone was around. Cheena took a step and stood motionless on the top step. She looked down at the Feloid male. He took one more look at her and then turned to look again for any passers by. Cheena closed her eyes and put her hands by her side. She was trembling a little. “Make it quick .”she said under her breath. There was a violent shove from behind that knocked her off her feet and into the air. She kept her eyes closed and took a breath. Her head hit hard on the stone stairway followed by her limp body as it tumbled down the stairs like a child’s rag doll. Cheena’s body came to rest at the bottom of the stairs with her head tilted at an unnatural angle and her eyes staring blankly at the ceiling. The Feloid at the bottom walked over and knelt down next to Cheena. He carefully pinched her nose closed and put his hand over her mouth tightly. He held her there like that until she was no longer breathing. The second Feloid had come down the stairs and was waiting for him to finish his task. When it was done they both walked down the long hallway and into the darkness. Timtam had been at the controls now for hours. Enna had left her there all by herself. She had figured out most of the controls by now and felt confident with her ability to pilot this ship. Enna came in and gave Timtam a cup of water. She drank it down quickly and wiped her mouth. Timtam only glanced at Enna for a second,just long enough to see she was staring coldly at her. “Well little friend It’s time for me to explain how things work on this ship. There is only one rule you must understand. I’m the one in charge. That’s it, nothing happens on my ship without it going past me first.” Enna had leaned closer with each word. “Why are you crying?” Enna asked angrily. “I’m afraid. I’m afraid I’ll do something to make you angry.” Timtam answered still looking forward. “You should be scared little friend, the only reason you’re here is because I didn’t like my old pilot. You saw what happens to those I don’t like.” she was referring to her murder of the pilot just before they left. “Do you know what a Recessive is? Have you ever heard of one?” Enna leaned back and calmly sat down in the co-pilot’s chair. Timtam shook her head no. “Only one in a hundred cat girls is born a pink hair like yourself and then only one in a hundred of those is a Recessive. That means the original genes that were used to create the warrior race that were your ancestors are all there just where they’re supposed to be. In simpler terms that means Recessives are pure bred fighting machines exactly like our ancestors were. They are stronger, smarter, and much more aggressive than even free borns are.” Enna said. “Every once in a while one will slip through the cracks and cause a lot of trouble. I’m a Recessive. They didn’t realize it until it was to late. I was just thought of as disobedient. I wound up being bought by a doctor. He explained to me what I was. He wanted to do tests on me. I didn’t want him to so I killed him and his family. I’ve been running ever since. He told me I can have children without being given the hormone you lack. I want my children to be like me. I want to bring back that warrior race but I want it to start pure. I found out where there is a male Recessive. He will father my children. They will be the new leaders no matter what the cost. The freeborns should never have made us into slaves. They should have exterminated us all.” Enna seemed to be talking to herself more than Timtam. “Yes, for the last hour.” Timtam said squirming. “I think you should go and do that before you ruin that seat.” Enna laughed. Timtam got up embarrassed and started to head to the back of the ship. “He’s here My Lady.” Lionette’s guard said. She got up from the chair in the hangars office. She folded the letter she had been given earlier and walked out into the main building. She saw the Colonel standing waiting for her. Cheena’s cat girl was Kneeling by his side. The human that flew the Cheena’s ship back was also standing there looking very nervous. Lionette walked up to the to the small group and looked them up and down. “Yes Mistress.” the girl said looking down. “It will be done as you have instructed.” He bowed and escorted the girl to a waiting shuttle. Lionette turned to the human. “Did you enjoy flying that ship?” she asked. “ Yes ma’am, she’s a beautiful ship.” he said trying not to show his nervousness. “I want you to take it as far away from here as you can and sell it. You can keep whatever money you get from the sale with one condition. You were never here. You never heard of my sister and never saw that ship or the girl.” Lionette put her hand on her pistol. “Lady, the farther I get away from here the worse my memory will become I can guarantee you that.” he said looking around nervously. Lionette nodded and the man hurried over to the ship and took off. She looked around the hangar. For a second she wondered where Timtam was, then she remembered. Things had not gone well for her since her father’s death. She was forced to banish her brother and have her sister and her co-conspirators hunted down and killed. Timtam’s fate was the hardest for her to endure. She could not have had her killed like the rest. Timtam had to die a slave’s death, long and terrible. Quick deaths were for family members and traitors. Slow deaths were for slave’s not learned enough to know what they were doing was wrong. Her guards escorted her from the hangar to her waiting speeder. Neeka was waiting inside with her child. The happiness that Lionette had given these two was one of the few things that made her smile lately. Lionette climbed into the back with Neeka and her child. Neeka looked at Lionette and handed her a handkerchief. “Is it over?” Neeka asked delicately. “The fires are out but the embers will keep burning for a while I’m afraid.” she responded wiping her eyes. Lionette opened her arms and Neeka’s child lept into her embrace. She had grown very found of this child. “Thank you again for my child My Lady.” Neeka said.